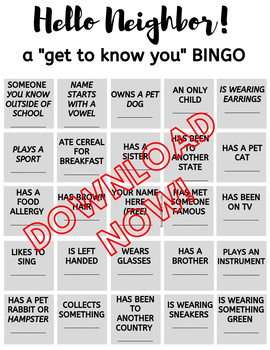 This "get to know you" game is great for the first day of school or the first meeting of a new club or team. Students try to fill their boards by finding out things about their classmates. I have included both a full board and a blank template, plus an instruction sheet.